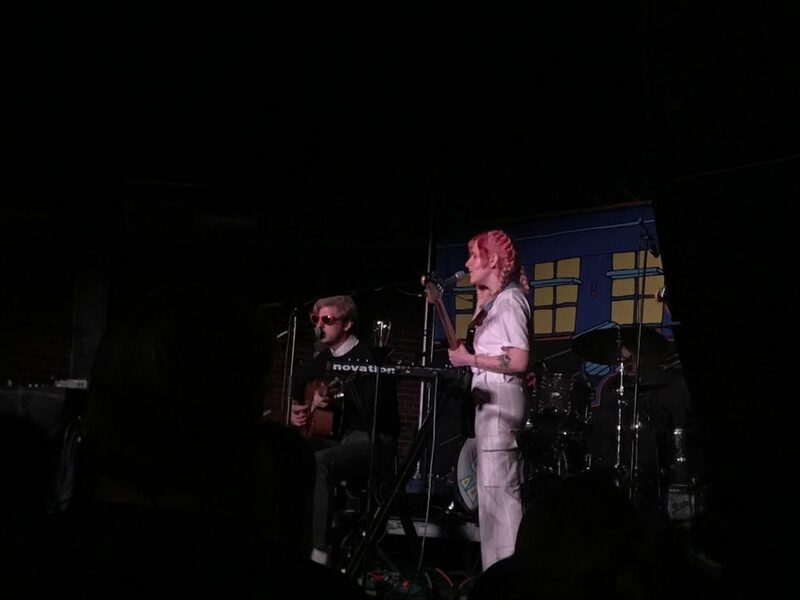 Better Oblivion Community center exploded onto the scene upon announcing their self-titled debut album at the beginning of 2019. 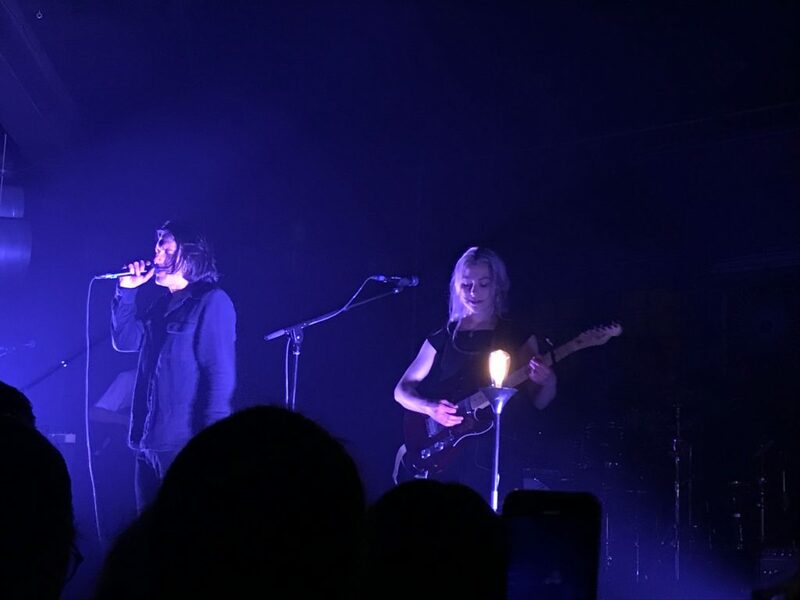 The folk-rock duo, composed of Phoebe Bridgers and Conor Oberst (of indie staples Boygenius and Bright Eyes, respectively) impressively manages to make even more sense live. 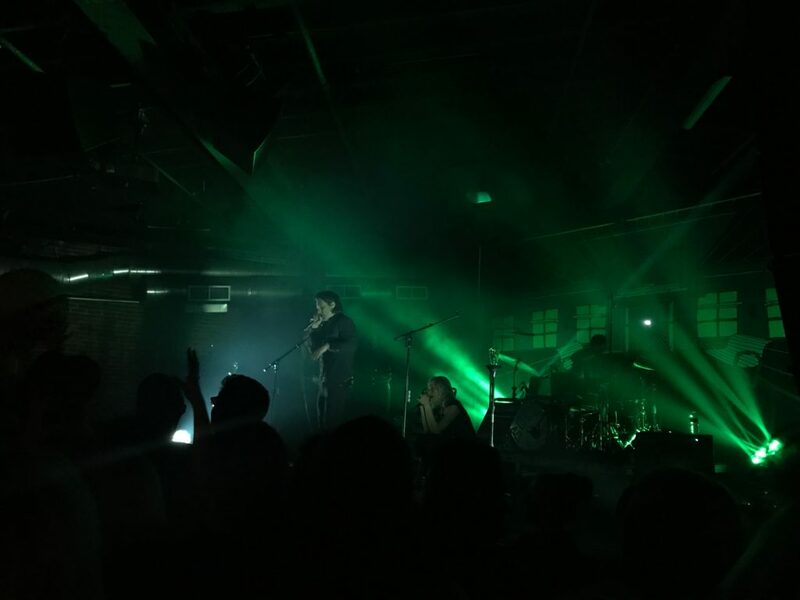 Their sold out show at Nashville’s Cannery Ballroom on April 7th offered locals the chance to experience the band’s unique brand of songwriting up close and personal— despite the move to a bigger venue after rapidly selling out The Basement East. The band did us all a solid by crossing the river to accommodate even more fans, and the experience of seeing them live was surely only strengthened by it. Along with tour mates Christian Lee Hutson and Lala Lala, the pairing put on a concert that struck a memorable balance between personal and performative. It is this kind of beautiful contradiction, manifested in everything from the stage backdrop to Oberst’s dancing, that best characterizes the show. The night got kicked off with a mellow set by Better Oblivion Community Center’s guitarist Christian Lee Hutson, who put out a new 7-inch produced by Bridgers called Northsiders for this tour. Chicago-based Lala Lala joined him on stage for a song, at which point the artists hesitantly announced their collaborative band name; “If anyone is here from Pitchfork or something, we’re called Slugs. Don’t f*ck it up,” said Hutson, adorned in bright red sunglasses lent to him by an audience member after a complaint about the lights being too bright. The same tone was carried over to up-and-comer Lala Lala’s subsequent performance, during which the band tested out some new material. “We’re doing a lot of new songs on this tour, so if you don’t like them…” Lillie West started as she tuned her guitar, “send me an email.” It’s certain they won’t be getting any complaints. After the conclusion of two great opening sets, Better Oblivion Community Center took to the stage as prerecorded audio was blasted throughout the venue, offering advice such as “confusion is overrated, truth can be fun.” The duo, dressed in all black, stood out against a brightly colored backdrop of an illustrated community center. Scrawled across the top of the banner were the words ‘it will end in tears.’ Directly in front of this print sat the band’s drum kit, which featured a contrastingly DIY decal of ‘BOCC’ haphazardly written in neon tape. Their drummer— the only one not dressed in completely neutral colors— wore an Insane Clown Posse t-shirt. And thus began a show that can best be described as a series of wonderful juxtapositions. Compared to the produced and performative opening of the concert, the lulls between songs remained genuine and awkward. During one such instance, Bridgers and Oberst made small talk as a pair of lounge chairs were carried on to the stage. They sat down, introduced the upcoming track as a beach song, and broke into “Exception to the Rule.” Few would likely describe it as such, but as the lights went crazy and balls were tossed into the crowd it quickly became clear that their audience was all about the satire. Before “Forest Lawn” Oberst similarly explained, “this doesn’t sound like our most goth song, but it is.” His remarks were met with a wave of laughter and cheers. Throughout the night the duo managed to expertly balance each other out. As Bridgers strummed her guitar with measured sophistication, Oberst emotionally mimed the lyrics to “Chesapeake.” On later songs she would crouch down at her pedals to sip a cup of tea, unbothered as he semi-violently jumped around the stage shredding. Even their voices— Bridgers’ bordering on angelic and Oberst’s on gut-wrenching— were an opposing yet perfect combination. Although there weren’t many questioning their partnership to begin with, the pairing nonetheless revealed itself as one of inevitability at Cannery. The collaborations and conversations had on stage between all three of the bands only furthered this impression, and if there was one word to wrap up the vibe of the entire night it would probably be ‘familial.’ Not just between the artists, but also between them and everyone who packed into the sold-out venue to see them.